Shirts With Random Triangles: Former Oklahoma QB Trevor Knight Transferring To Texas A&M. 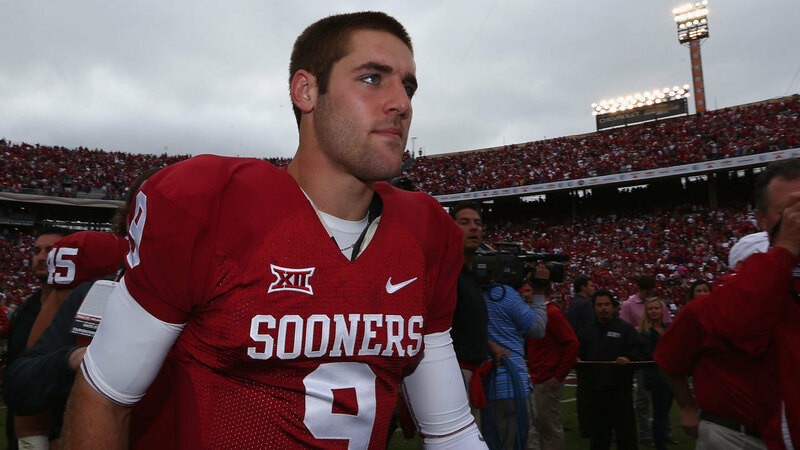 Former Oklahoma QB Trevor Knight Transferring To Texas A&M. Trevor Knight. Image via ksat.com. 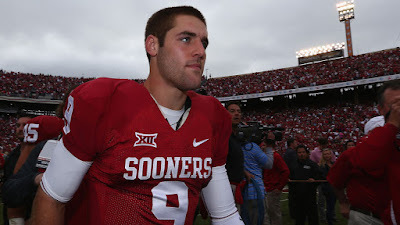 Trevor Knight is transferring to Texas A&M. The former Oklahoma starting quarterback made his decision public in a statement released via his Twitter account, but not before sending out lengthy thank-yous to the Oklahoma head coach Bob Stoops, his coaching staff, and Sooner supporters. Knight was granted his release from scholarship by Oklahoma on Dec. 10, 2015. As a recent graduate from the University of Oklahoma, Knight will be eligible to play for Texas A&M during the 2016 college football season. That would be a good thing for the Aggies, falling the departures of QB's Kyle Allen and Kyler Murray.